When you trust us for fall cleaning, you can enjoy the benefits of this beautiful season. You’re probably familiar with the idea of spring cleaning, which involves doing more deep and heavy-duty cleaning of your home when the winter ends and the spring season is just beginning. But why does spring get to have all the fun? 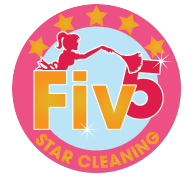 At Fiv5 Star Cleaning, we see the benefits of deep cleaning on a more regular basis, which is why we offer cleaning packages for every season. One of these is fall cleaning, which can help clear out the summer allergens and prepare your home for the upcoming fall season. We’ll come at the end of the summer or start of the fall to perform the cleaning service, which includes a variety of cleaning tasks. Our team of professional cleaners will start by vacuuming carpet, dusting and mopping any hard surfaces, deep cleaning your kitchen and bathrooms, and dusting all surfaces in the home. If you prefer for your fall cleaning specialist to focus on certain areas, we can customize your seasonal package to meet your needs and clean the areas that matter most to you. When you trust us for fall cleaning, you can enjoy the benefits of this beautiful season. Instead of spending your precious weekend indoors with a mop and rag in your hands, you can get out and pick apples, carve pumpkins, sip hot cocoa, and take part in the other fun activities of fall while making memories with your loved ones. Before fall comes around in Charlotte, North Carolina, give us a call at Fiv5 Star cleaning to schedule your service. At Fiv5 Star Cleaning, we offer fall cleaning services in Charlotte, Concord, Cornelius, Gastonia, and Mooresville, North Carolina, as well as Rock Hill, South Carolina.